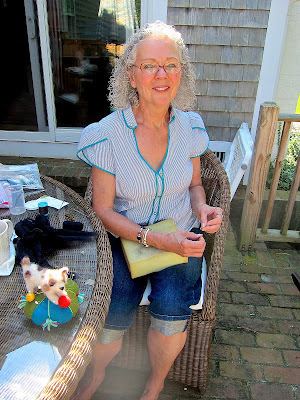 Hello Again...Well...I am back in FunTown after a fun-filled ten day visit with my good buddies...Leslie McCabe, Pat Murphy and Diana Card at Leslie's beautiful home in Cape Cod. I have many shiny new memories in my pocket that I will keep forever. 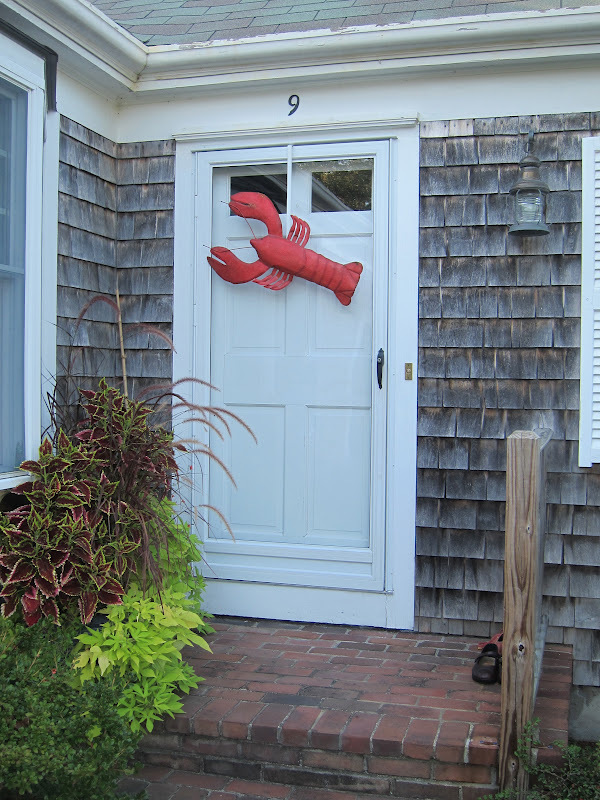 Having dreamt of owning a house in Cape Cod...it appears as though my dreams have come true. This is it! We had a pleasant walk along Chapin Beach with Leslie's sparky dogs...Homer and Salty. 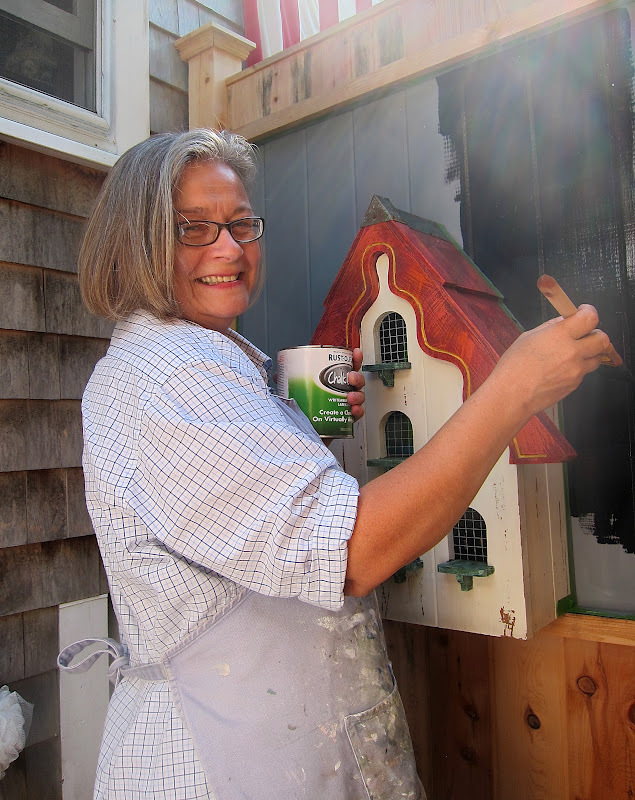 Here is Diana painting the outdoor shower with blackboard paint....after all she is a famous professional painter. Showering outdoors is a tradition for the Yankees at the Cape...Fortunately for you...there are no snapshots of our showers. We had a fun field trip one day at the Edward Gorey Museum in Yarmouth Port...We all recommend it highly. Diana gave Pat and Leslie a master class on painting...Here are her proud graduates. I am not a good painter so I puttered about instead. Pat and Leslie are gourmet cooks...Lucky for us. So...as I close this little scrapbook...I want to thank our hostess...Leslie McCabe...She is so generous with her friends. Merci Beaucoup to Pat, Diana and once again Leslie for all of my shiny memories. Oh how fun, and what great piccy's! I'd love to get to Cape Cod sometime, I guess it goes on my bucket list! It looks like you all had a grand old time....especially with all those sunny smiles. Ahh.... and thank you Jody for introducing us to the in's and out's of Pinterest... and I am humming along to my new CD's... we did have such fun!